People are dying at an alarming rate along Georgia roadways this year. According to the Georgia Department of Transportation, almost 700 people have been killed in the first seven months of 2015. That is 14 percent higher than the number of traffic deaths we had during the same period in 2014. We could hit 1,300 driving deaths statewide by the end of the year. Local CBS 46 speculates that this increase is related to the number of distracted drivers on the road. Under Georgia state law, all drivers are prohibited from texting from behind the wheel. Furthermore, young drivers under the age of 18 are banned from using any kind of wireless telecommunications device while driving. This is because cell phone use is one of the most popular forms of distracted driving, which is extremely dangerous. 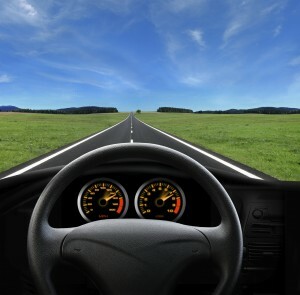 It is crucial to remain focused on the roadway whenever your vehicle is in motion. An act as simple as turning to talk to a passenger can lead to a fatal crash. While cell phones contribute to a significant number of distracted driving accidents, it is not the only form of distraction. A driver is considered distracted whenever he or she is eating, applying makeup, reading a map, drinking, using a GPS navigation system or even changing a radio station. One of the best ways to teach your child safe driving habits is to lead by example. Many parents, however, make the mistake of teaching their child that it is okay to drive while distracted by sending texts and making phone calls when behind the wheel. A new study shows some parents not only model poor behavior, but also are the cause of their child’s distraction. According to a new study by Parallel Consulting, as reported in HealthDay, up to half of all teens talking on cellphones while driving are talking to their parents. This means that many parents are complicit in distracting their children. When your child calls you, or when you call your child, ask if he or she is behind the wheel. If your child is driving, simply call back later or have him or her pull over. Distracted driving is simply too dangerous, especially when the driver is young and inexperienced behind the wheel. A freeway accident in suburban Atlanta resulted in the death of two people and injuries to two others. According to an Associated Press news report, the fatal car accident occurred on eastbound Interstate 285 near North Peachtree Road in Dunwood. Officials say the driver of a Ford Explorer may have been distracted by a passenger before losing control. The vehicle overturned and one passenger was ejected while another was partially ejected. The driver and one passenger were hospitalized with only minor injuries, but two passengers, aged 22 and 18 respectively, were killed. According to a report by the Department of Transportation (DOT), in 2009, around 5,400 people nationwide were killed in distracted driving accidents and thousands more suffered injuries. These alarming statistics have pushed many organizations and agencies, both public and private, to engage with the public and inform them of the dangers of distracted driving. The National Organization of Youth Safety (NOYS) is getting ready for the Georgia Distracted Driving Conference, which will take place at The Classic in Athens, Georgia on September 14 from 10 a.m. to 4 p.m. The gathering will feature informational presentations on the dangers of distracted driving as well as discussions on how to spread awareness of distracted driving and encourage safe driving habits among the youth. 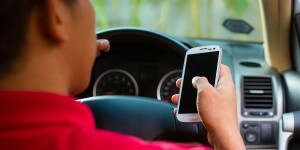 Distracted driving is a more serious issue than many Atlanta drivers may realize. According to a the National Highway Traffic Safety Administration (NHTSA), 3,092 people were killed and an estimated 416,000 were injured in car accidents nationwide involving a distracted driver in the year 2010. With the growing popularity of smart phones, this problem is not going away any time soon. One of the best ways to avoid being involved in a distracted driving crash is to make sure that you are focused on the roadway at all times. It doesn’t take long for traffic conditions to change, and if you are staring at your phone or driving with your hands off of the wheel, you may not be able to react in time to avoid a crash. According to the U.S. Department of Transportation, more than 3,000 people were killed in distracted driving crashes in the year 2010. Drivers are considered distracted when they take their eyes off the road, their hands off the wheel, or their mind off the task at hand. Examples of distracted driving include fiddling with the radio, talking to a passenger, or talking on a handheld cell phone. One of the most dangerous forms of distracted driving involves sending and reading texts. In March of 2010, AT&T launched a campaign regarding the dangers of texting while driving. The short documentary film they released as part of the campaign contained many examples of lives that were lost and families that were broken apart because a driver chose to text and drive. The video contains footage of a bus driver rear-ending stopped traffic while sending a text, a teenager struggling with depression after killing a bicyclist while texting, and a family celebrating the birthday of a teenager killed while reading a text. Many vehicles now come with hands-free tools intended to decrease distracted driving in Georgia and across the U.S. and allow drivers to operate their vehicles more safely, according to a recent article in the Fort Wayne Journal-Gazette. However, as research indicates that merely keeping the driver’s hands on the wheel isn’t enough, many automakers are re-designing these systems so that they further decrease distractions, improving safety. 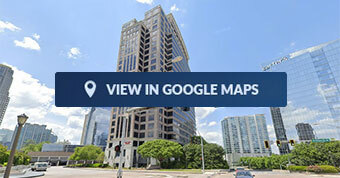 Some vehicles can currently be purchased with built-in features like voice commands and hands-free cell phone connections. The driver merely pushes a button or speaks a command to do things like turn on the radio, get GPS directions, or call home. While these keep the driver’s hands on the steering wheel, they don’t do anything about distractions that take the driver’s eyes off the road, such as having to read a GPS or other screen readout. It’s not a surprise to many motorists that cell phone use may increase the risk of an Atlanta distracted driving accident. Many motorists can share stories of how they saw a driver on a cell phone nearly cause an accident, and too many can relate how they or a loved one were actually injured in an accident involving a cell phone-using driver. Many states have banned or restricted texting and handheld cell phone use in an effort to protect drivers from these serious accidents. 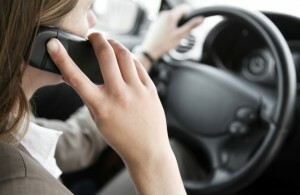 However, recent research indicates that using a cell phone while driving increases the risk of accidents as many as four times over, even if the driver uses a hands-free device like a headset, and that going hands-free does not reduce the risk of an accident versus holding onto the cell phone. 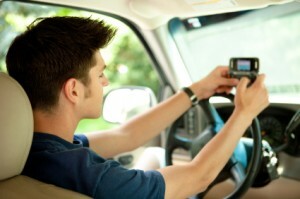 Many U.S. states have banned texting while driving, as has the Federal Motor Carrier Safety Administration (FMCSA). But texting isn’t the only thing that can distract a driver enough to cause an accident. Eating, talking, and even personal grooming can all take a driver’s eyes and mind off the road and hands off the wheel – increasing the risks of a motor vehicle crash. According to a 2010 report from the National Safety Council, approximately 1.4 million accidents per year are caused by drivers who are distracted by cell phones. This number doesn’t include distractions from texting – just those whose conversations on a cell phone resulted in a crash. A 2009 study performed at Virginia Tech found that texting while driving was even more dangerous than previously assumed. The study found that the risk of an accident goes up a stunning 23 times when a driver is texting.